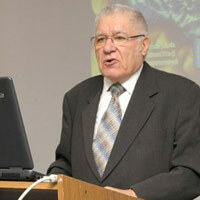 Dr. Sutor has worked at the Ministry of Foreign Affairs for half a century. Former Head of the Polish Embassy to the Republic of Serbia from 1992 till 1996. Career diplomat, former Ambassador, Doctor of Law. Dr. Sutor worked at the Ministry of Foreign Affairs almost half a century, e.g. as Head of the central office (including the Department of Treaty and Law, he participated in numerous negotiations and international conferences) as well as diplomatic missions. Former Head of the Polish Embassy to the Republic of Serbia from 1992 till 1996. Multiannual lecturer at universities and public administration institutions. Author of numerous textbooks and researches concerning diplomacy as well as diplomatic and consular law. “Prawo dyplomatyczne i konsularne” (12 wydań), “Korespondencja dyplomatyczna”, “Vademecum protokółu dyplomatycznego”, “Leksykon dyplomatyczny”, “Immunitet państwa”, “Przywileje i immunitety międzynarodowe”, “Immunitety i przywileje Rady Europy i Wspólnot Europejskich”, “Pokojowe załatwianie sporów międzynarodowych”.